Why Book Hong Kong & Macau Tours with Us? Hong Kong and Macau have so much to offer that the fear of missing out is real, and this is why you need us for planning a holiday. Tour My India not only minimizes your chances of missing any important tourist attractions in these two destinations but also add to your travel experience the local touch and feel. The diversity in Hong Kong and Macau can be extremely overwhelming, where on one side you have the Chinese culture to relish, on the other, you will be surprised seeing well-maintained Portuguese culture. Therefore, a meticulously designed travel itinerary is what comes handy. With us, you can find the tour packages that let you explore Hong Kong and Macau the way you want. 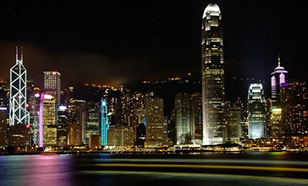 We also offer customization of packages for Hong Kong & Macau tour from India, letting you have complete control over what you wish to enjoy more. For nature lovers, both Hong Kong and Macau’s neighbourhood are replete with sightseeing options, and we just handpick the best attractions to keep it simple for you. Those seeking to experience, the glamorous and glitzy world of casino in Macau, we have special packages catering to their every need. In the mood to experience travelling on one of the world’s smoothest transport systems in Hong Kong? We have got it covered for you. We also include in our travel guide the best epicurean tour, shopping spree, and a cultural trip in order to let you enjoy a vacation of a lifetime. Apart from this, TMI takes care of your hotel bookings, transport arrangement, flight bookings, and chooses the best places to eat, ensuring a holistic travel experience. 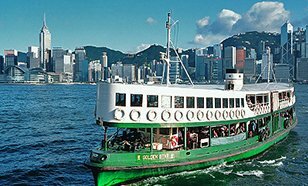 Founded in 1888 and operated by Start Ferry Company, Star Ferry is a shuttle service in the traditional double-decker boats for passengers that runs from Hong Kong Island to Kowloon. Apart from being a prominent means of transport, Star Ferry is one of the revered drawcards of the Hong Kong city. If you want to treat your eyes with a panoramic view of the whole city, then Victoria Peak must in your list of places to visit in Hong Kong. Proffering the compelling bird-eye view wherein the unsurpassed Victoria Harbour, gleaming skyline, and green hills along with the impeccable clouds in the backdrop astound visitors with their never-ending charm. Get astounded in Victoria! 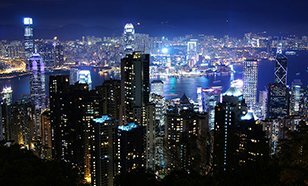 In the north shore of Hong Kong Island lies the cultural capital of Hong Kong, Victoria – popularly-known as the densely populated urban area in Hong Kong. 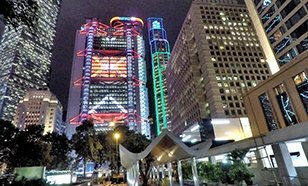 Along with being a cultural capital, Victoria is also the chief commercial and administrative centre of HK city and the headquarters of different international banks. Such is the charm that the gleaming skylines, numerous finance centres, various attractions, and enthralling city life make the city of Central a gem of Hong Kong. For tourists, the place boasts a plenty of scenic spot including arterial streets, corporate houses, world-class restaurants, fashion stores, and more such points of interests. 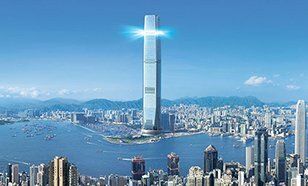 Enjoy the sweeping 360-degree views of Hong Kong while sitting on the top of the 100th floor, Sky 100, of the city’s largest construction. Along with feasting your eyes with awestruck sights, serve your palate with some delectable taste offered by the Cafe 100 by The Ritz Carlton located on Sky 100. Even if you’re not so religious person inclined person, a visit to Wong Tai Sin Temple will leave you astounded. 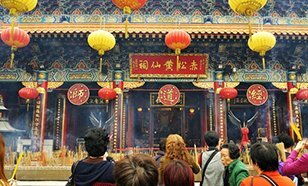 Said to fulfill everyone’s wishes, Wong Tai Sin Temple in Hong Kong is one of the most hallowed tourist places and is a home to Buddhism, Taoism, and Confucianism religions. 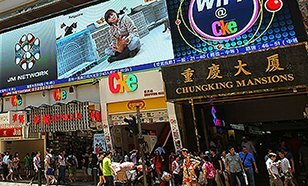 Dotted with countless shopping malls, vibrant streets, fascinating ferry pier, laid-back restaurants, and compelling galleries, Tsim Sha Tsui is amongst the most elegant and bustling districts of Hong Kong. Tourist can take a plunge into the dazzling nightlife and mesmeric cityscape as there’s a plethora of scenic spot to explore.